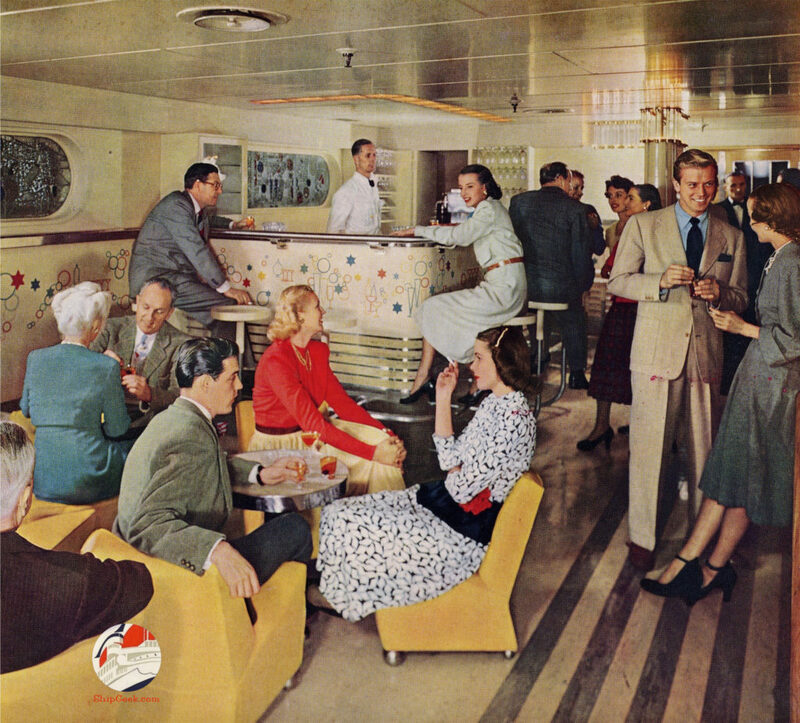 Nieuw Amsterdam of 1938 – Putting the "hip" in "ships" since 2002! 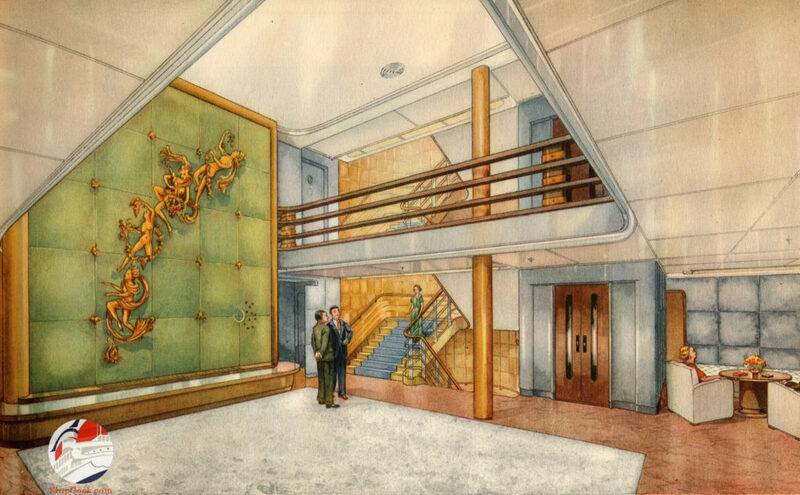 August 6, 2016 – Holland-America Line’s gorgeous Nieuw Amsterdam of 1938 is easily in my top five favorite liners both for her exterior profile and her fabulous art deco interiors. 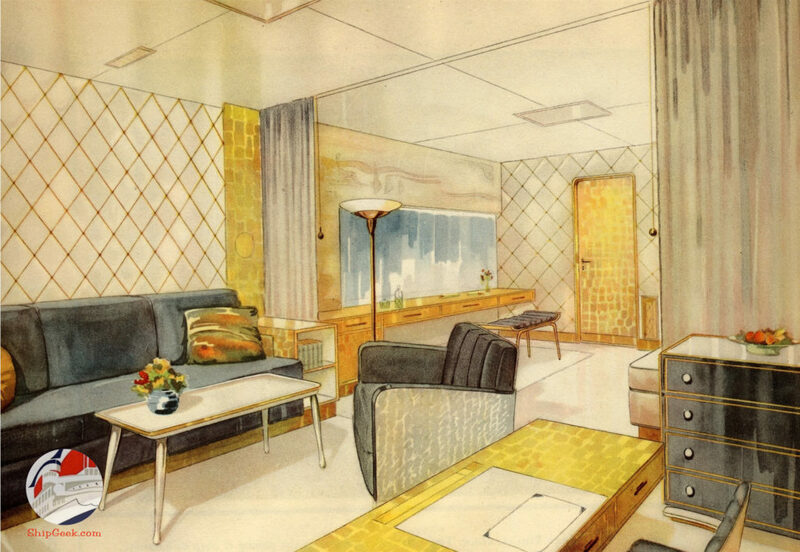 Take a brief tour via vintage photos and illustrations and hopefully you’ll understand why. 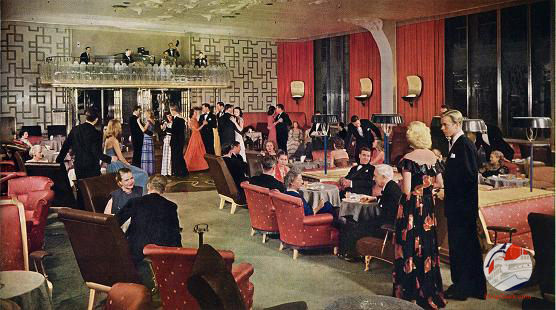 Personally, I prefer a crossing de luxe, but would definitely have spent some time in the Tourist Class bar! 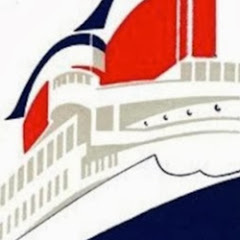 When you’ve finished drooling over the pictures and reach the end of this post, be sure to watch my exclusive home movie footage of the Nieuw Amsterdam and another all time fav, the fabled and venerable SS United States! 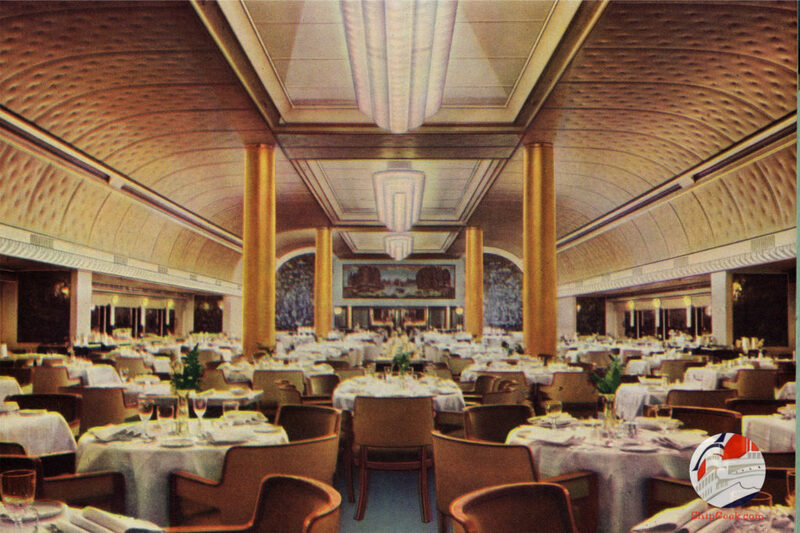 The Dining Salon on A Deck is an exquisitely delicate setting of ivory walls, pale gold ceiling, gold leaf columns, tinted mirrors, satinwood furniture, two-toned blue carpet and handmade frosty Murano glass lighting fixtures. 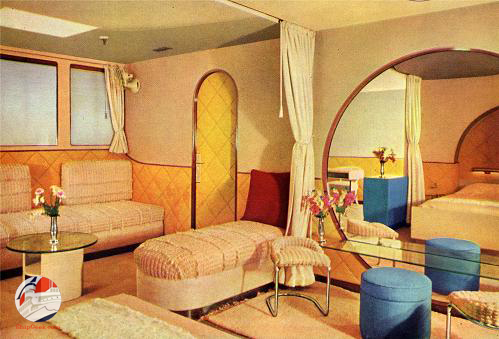 This cabin de luxe is just one of twelve such staterooms, each distinctly different in color scheme and furnishings. It is decorated in beige, corn yellow and Mediterranean blue, with an afterthought of ruby red. 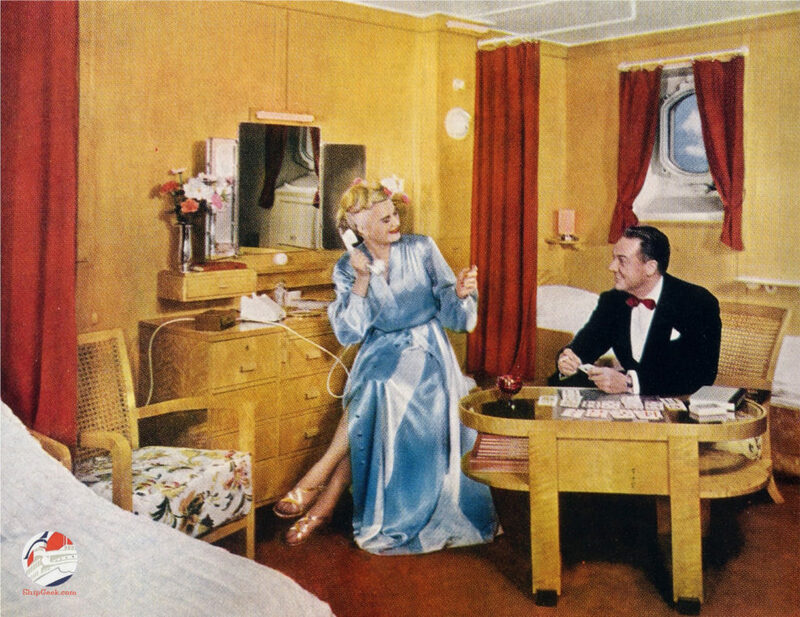 All rooms in the Cabin Class have private bathroom adjoining and toilet, or shower-bath and toilet. 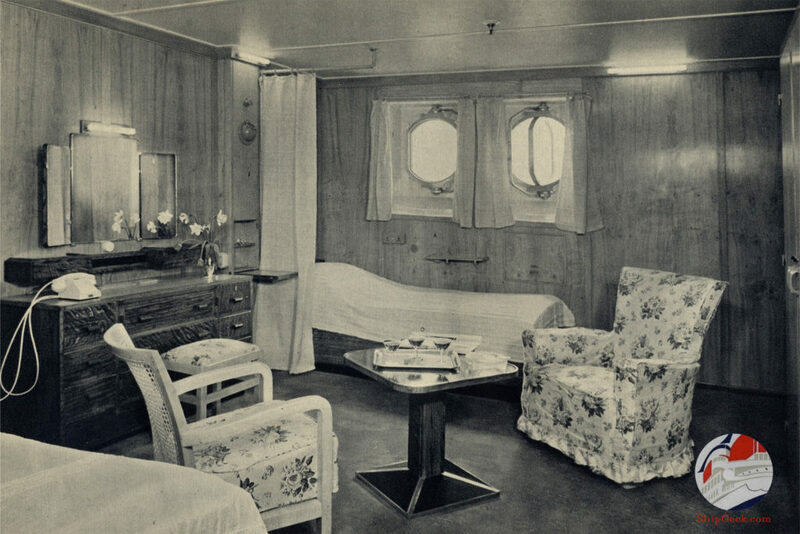 First Class accommodations on the Nieuw Amsterdam are unusually attractive, ranging in size from cozy singles to elaborate cabins-de-luxe. 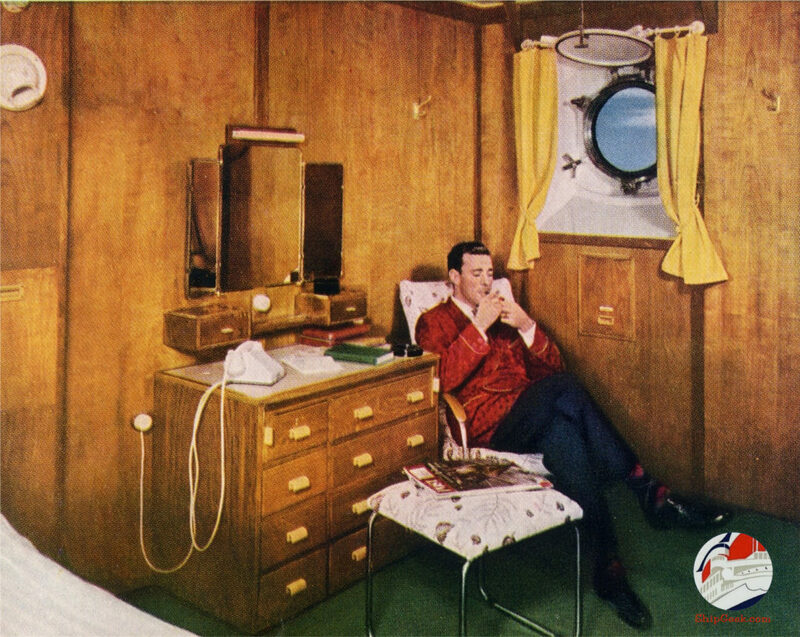 …no matter what type of cabin you occupy, you are assured of every convenience that makes for pleasant, restful travel. The gay, canary-yellow and buff decor of the Nieuw Amsterdam‘s Tourist Class bar is designed to give spirits a lift… even without benefit of alcohol. 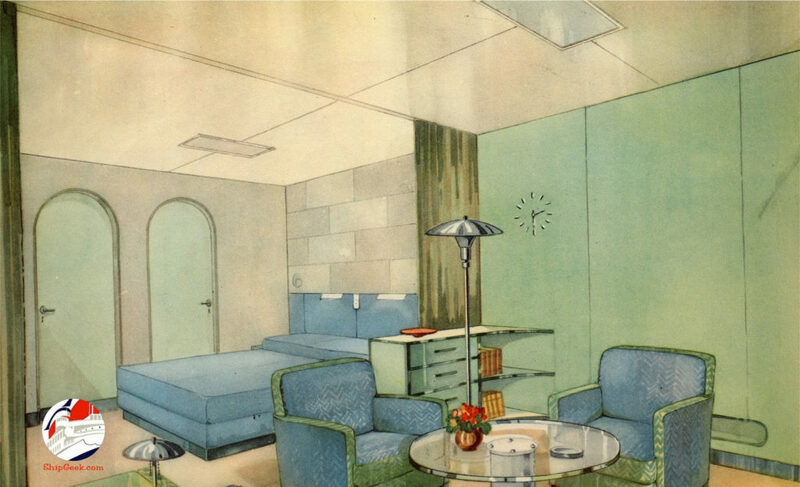 Cabin de luxe, by Mrs. Elisabeth de Boer in collaboration with C.J. Engelen, executed by H.P. Mutters & Sons. 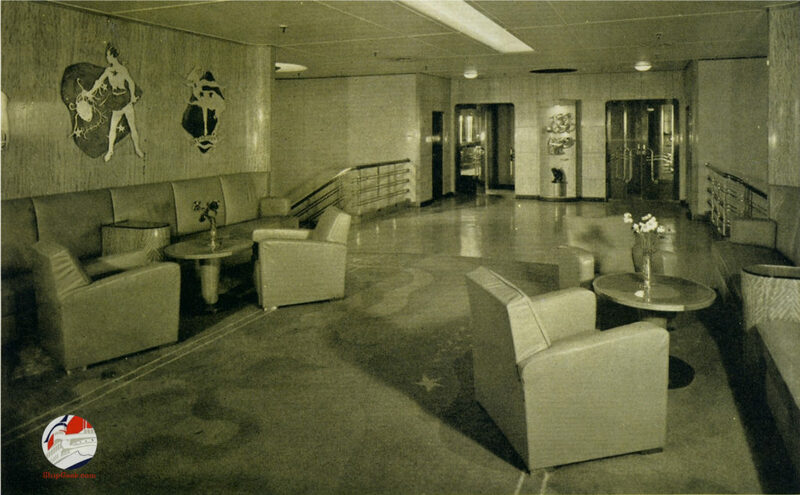 Reception vestibule, Main Deck: Designed by Jan P.L. Hendriks, Executed by Allan & Co.